It is no secret my husband is a meat lover. I am okay with that. I don't believe in changing people. I am not a meat lover. I would be happy with a bowl of veggies and fruits every day of the week. So we have come to compromises when it comes to dinner. Once a week I cook an all vegetarian meal. My husband enjoy's it, but every time he says: "This is really good! But as long as it is just once a week!" I think he is worried I will try to convert him. The reality is I just want him to be healthy. So I do vegetarian one night a week, and chicken and fish the rest of the week. He gets a red meat dish once a week too. That way he feels he is getting everything he loves. He is fine with me giving him grass fed beef. He likes it better any way. I try to limit his pork to once a month, but sometimes it slips in twice a month. It is fine for him to have a treat every once in a while! He is really good about not forcing me to eat the things I don't like, so why would I try to force him? It is all about balance, and I think we have balance down in this house. 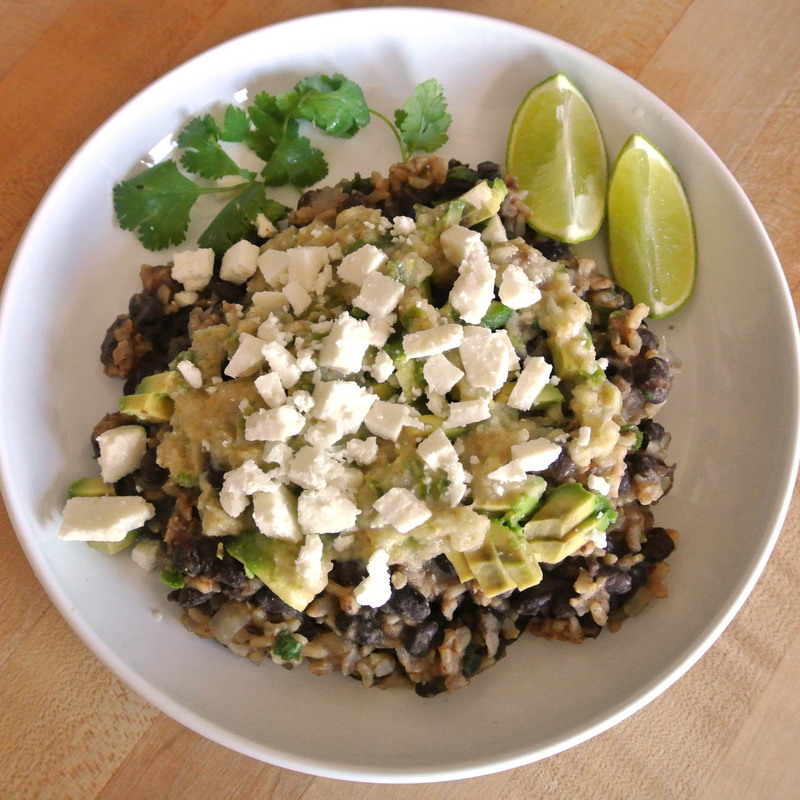 This dish is fabulous for Meatless Monday, even though I am posting it on a Friday. 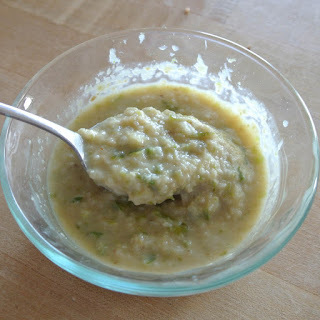 It is good as is, or you can get some nice organic corn tortllas, steam them, and fill them with this yummy mixture. 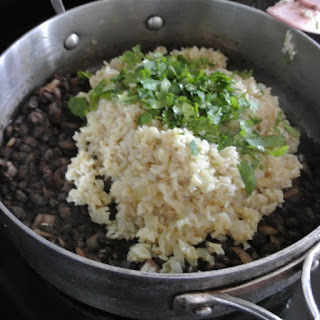 It is full of flavor and hearty with the black beans. 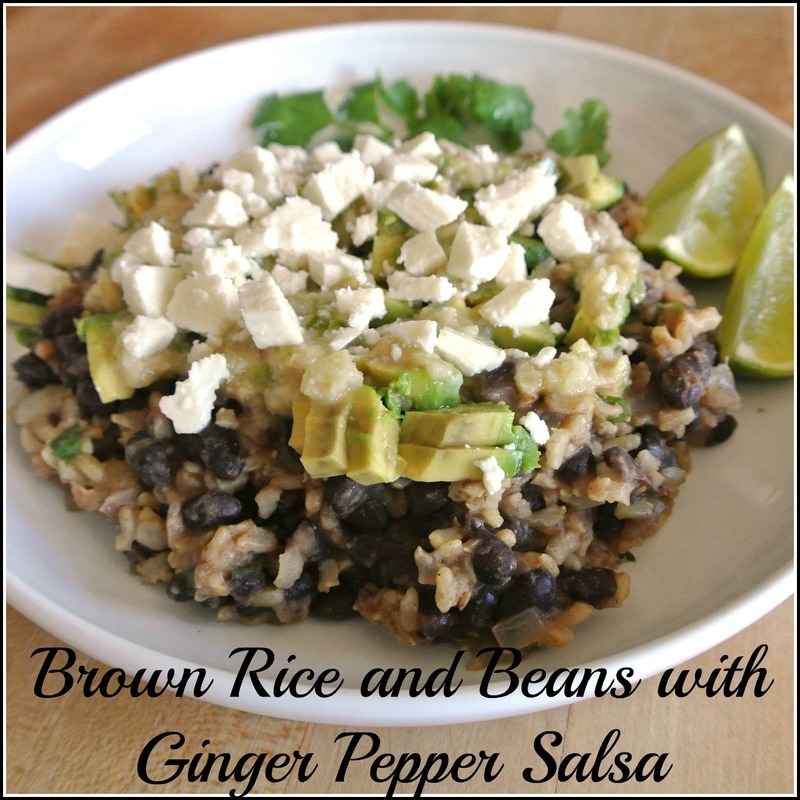 I used long grain brown rice for a healthier dish. You can use any rice you like, or use quinoa for an even healthier recipe! Heat 1 tablespoon oil in a medium saucepan over medium heat. Add 1/4 of onion and cook, stirring occasionally, until softened, about 5 minutes. Add rice and stir to coat. Add 2 cups water and season with salt. Bring to a boil, reduce heat to low, cover, and cook until rice is just tender, 40-50 minutes. 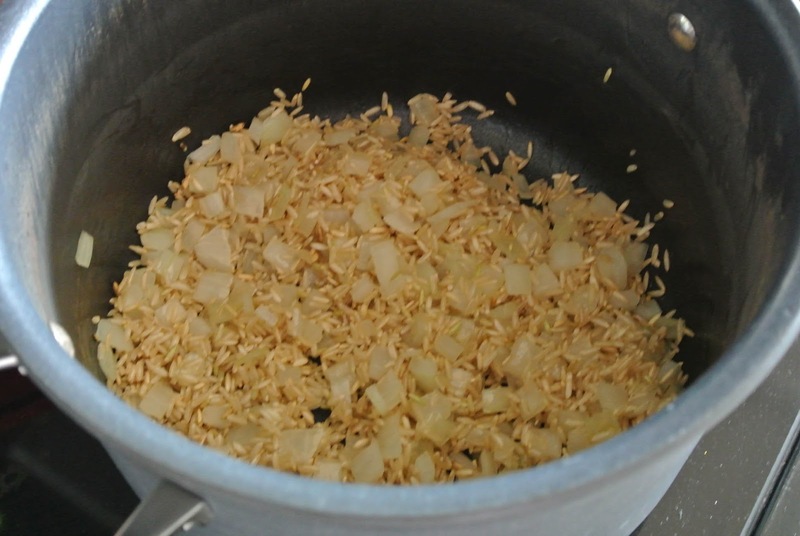 While rice is cooking, heat remaining 1 tablespoon oil in a medium saucepan over medium heat. Add 2/3 of remaining onion. Cook, stirring occasionally, until onion has softened, about 5 minutes. Add coriander and cumin; stir 1 minute. Add beans and broth; season with salt and pepper. Bring to a boil, reduce heat, and simmer, 8-10 minutes. When rice is done and bean mixture is done, stir in together topped with cilantro. Pulse chiles, garlic, ginger, lime zest, lime juice, and remaining onion in a blender until a chunky sauce forms. Season salsa with salt. 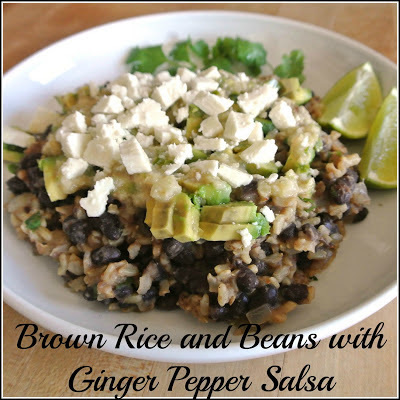 Serve rice with beans; top with salsa, avocado, cheese, and 1/4 cup cilantro.